ST. PAUL, Minn. (AP) — Minnesota Democratic Rep. Keith Ellison said Wednesday he’s requesting a House Ethics Committee investigation into the allegation of physical abuse from an ex-girlfriend that is clouding his bid for attorney general and complicating Democrats’ push to investigate allegations against Supreme Court nominee Brett Kavanaugh. Karen Monahan said last month Ellison dragged her off a bed by her feet while screaming obscenities at her. She claimed to have video footage of the 2016 incident but has declined to release it. Ellison, a longtime and fiercely liberal congressman from Minneapolis and deputy chairman of the Democratic National Committee, has denied it ever happened. Minnesota’s Democratic Party commissioned an investigation, handing off the review to an attorney who shares a law office with the party’s main attorney. Party chairman Ken Martin said he expects that report to be released soon. 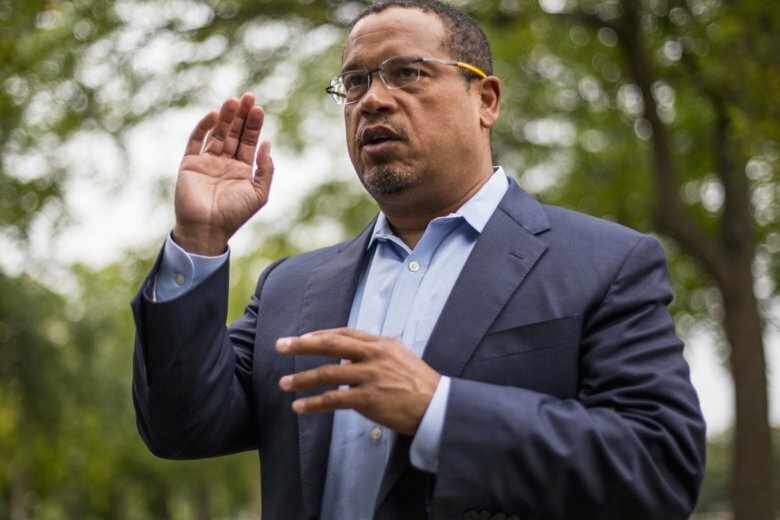 But Ellison said Wednesday he requested a separate investigation from the House Ethics Committee, saying he hopes it would prove his innocence. Buzzfeed first reported Ellison’s statement.